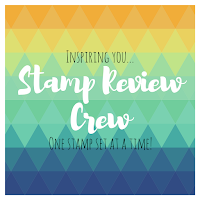 It is May now, and this is traditionally a month of big transitions in the Stampin' Up! world. The retiring product is quickly disappearing, and the anticipation for the new Annual Catalog is growing. It is very easy to get caught up in the new, and just wish away the days for the new catalog to launch. But let's take a moment to enjoy what we already have, shall we? We are featuring Pop of Paradise this time. It is a hidden gem in the Annual Catalog, I think. I love the fun tropical images! There are no coordinating products per se for this set, so I think you are going to see a greater variety of color combos and uses of this set. 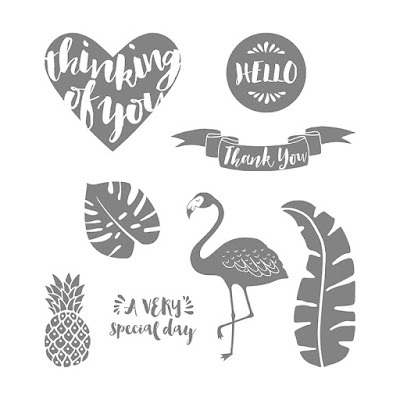 The Sweet and Sassy hearts and a circle punch do work nicely for 2 of the images in the set though. Now, let's go see what the crew has in store for us!